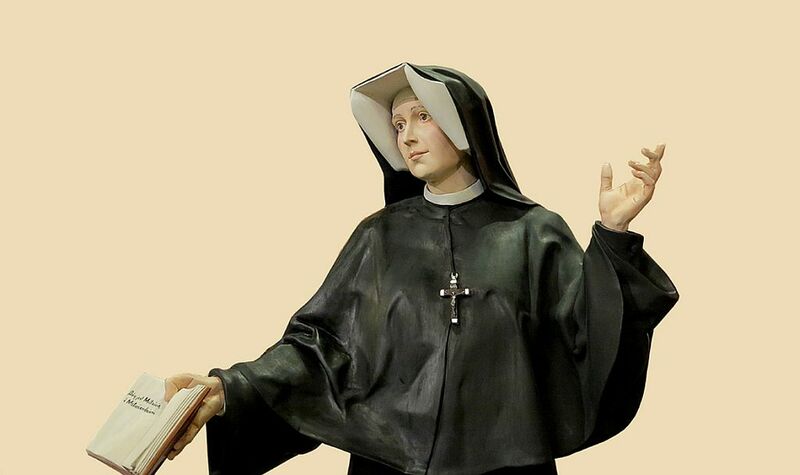 February 15 is the name day of Sister Faustina and the liturgical memorial of her Vilnius spiritual director, Bl. Fr. Michael Sopocko. The Shrine of Divine Mercy will celebrate the Saint with morning Mass in her intention at 6:30 am, as is the custom of the Congregation. The intention is thanksgiving for the graces received by St. Faustina in her earthly life and for those the Congregation, the Church, Poland and the world were granted through her intercession and asking that she show the merciful love of God to all and support trust in Him along with the attitude of being good neighbors in us. Broadcast at www.faustyna.pl. Anyone can submit their prayer there as well as provide the gift of prayer, which an act of true mercy toward our neighbors, or another spiritual gift.